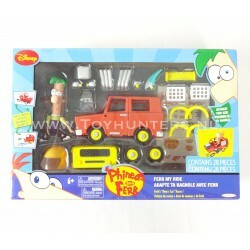 2000's Toys There are 35 products. 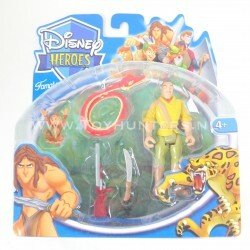 Clayton figure with Snake and monkey from the Tarzan, Disney Heroes Collection, mint in package. 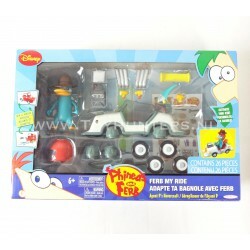 Rare figure from the later series, Famosa 2007. 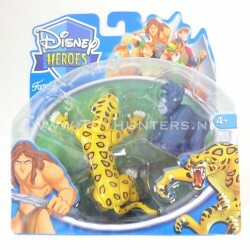 Sabor figure with monkey from Tarzan, Famosa's Disney Heroes Collection, mint in package. 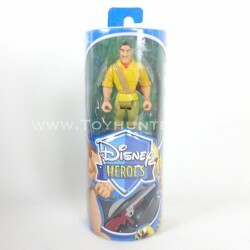 Rare figure from the later series 2007. 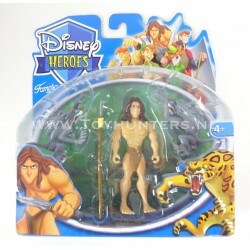 Tarzan figure with monkeys from Famosa's Disney Heroes Collection, mint in package. 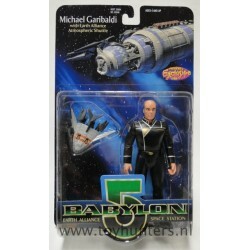 From the later series 2007. 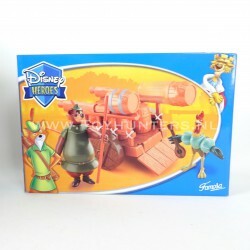 Wagon playset from Famosa's Disney Heroes Collection 2004, mint in sealed box.From Robin Hood, set includes: Wagon, barrels, Little John and Alan-A-Dale.Item is new and unplayed in sealed box. From The Sword in the Stone, set is mint in box. 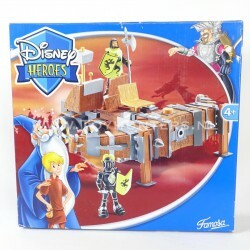 Playset from Famosa's Disney Heroes Collection 2004. Set includes: Oversized Crossbow and 2x Knights. Figure is in nice condition, card is still fresh.